One Community. One Voice. Presentation to the Town of Pilot Butte Council. Home / One Community. One Voice. Presentation to the Town of Pilot Butte Council. We would like to thank the Council of the Town of Pilot Butte for the opportunity to present White City’s One Community. One Voice. proposal to them on January 16. The Pilot Butte Council and majority of the RM of Edenwold Council was in attendance for a presentation by White City Town Manager Ken Kolb and Councillor Hal Zorn. It was a wonderful opportunity to share our vision for an Integrated Full-Service Growth Community with our neighbours and answer any questions in an open forum. Last evening, White City also held an information session for agricultural property owners within the proposed annexation area to share the Town’s proposal and answer their questions. Thank you to all those who attended. 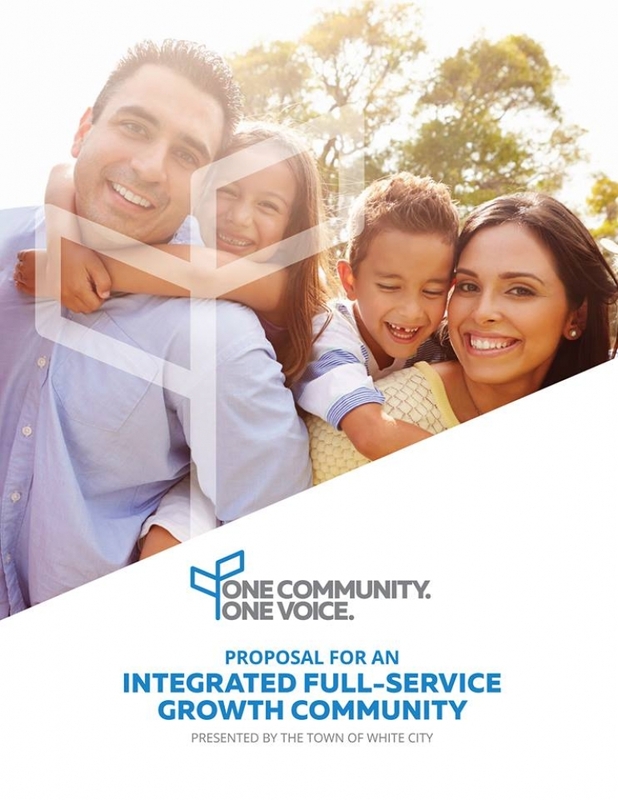 We invite any groups or individual residents with questions to contact the Town Office with any questions or to meet to discuss the Integrated Full-Service Growth Community proposal. For details on this proposal and other information visit one-community.ca.